After the successful debut in 2018, Yeong Yong strengthens the energy on the new gaming chassis and continues our exploration in the gaming world. This year, total three new revamped series will be launched: the midclass 5GA1, the entry class 3GA1, and the high class 7GA1. They all have clean layout and easy assembled structure and configuration, even not professional DIYers can enjoy building their new systems. Preserved space and area for advanced cooler system and radiators bring more fun and potential when players want to upgrade their equipment. The new DISCONTINUITY design changes the stereotype image of gaming chassis- thrilling, exiting, powerful- into a more neutral, aesthetic but joyful style on the cases. Users won’t worry where could they place their system anymore because it immerses into the environment while keeping the fun. Whereas, it is still a gaming structure. By adequate adjustment and decoration, gamers still can show their personality on the new platform. There are many chassis in the market, for any gamer picking out the right computer case is a big decision. Often time the design of the case is more important to than to choosing all the other components. The frame is the key for user to decide what fits in the case and if setup process can be easy. 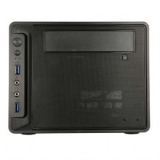 One client who own their brand of PC, came to us for an inquiry, to build a cool looking gaming case that uses Mini-ITX form factor which means to build a system that can be carry around, but at the same offering the best, maximum expandability and durability while under a specific budget limitation. A client specializing in the marine, military business was looking for a durable rugged server solution that can be mounted and used under harsh environment. The server requires to follow military grade standard shock and humidity requirements. In addition to such durable server, custom replacement design was necessary to implement a final solution. After evaluating and understanding specifically on the application usage, Yeong Yang Technology offered a solution that was able to meet all the client’s essential needs with a very compatible price. 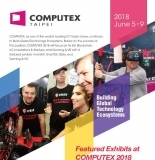 Computex 2017 just concluded successfully for Yeong Yang. We managed to display and showcasing numerous great products and our expectations were right-on. Yeong Yang showcased the latest ATX and Micro-Atx chassis for gaming. One of the most eye-catching product was our new Mini-STX aluminum made chassis the YY-C18x, and the new slim desktop Mini-ITX chassis, the YY-C75x. Offer both stylish and versatile for system integrator when building their system. Beside the PC chassis, the tablet kiosk products were also under the spotlight. 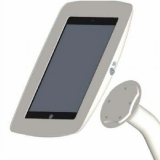 Our mobility tablet POS solution help customer to save cost on traditional POS machine, as well as create efficiencies by reducing checkout times in retail or business environment. 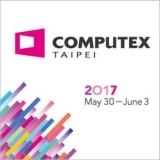 Taipei, Taiwan, May 3, 2016 – Yeong Yang Technology Co., Ltd., an experienced design and manufacturer for computer case and server chassis announces its new products to support 12Gb SAS 3.5”HDD. 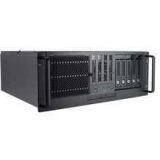 The series rackmount chassis for 1U, 2U, 3U, 4U storage server chassis come with modular design for scalable and cost effective consideration. YY-KP01Q iPad Enclosure with Qi Quick Charging Dock. Yeong Yang Technology as a professional enclosure designer and maker, has form an extended strategic partnership with wireless charging provider, Smartpower Technology Global Company. Smartpower Technology Global Company has been in the wireless charging scene for years, and with the expertise provided by Smartpower Technology, Yeong Yang will make better design solution for our customers. Yeong Yang Technology, a PC case designer and manufacturer with 30 years of manufacturing experience has been providing hardware solutions for different vertical market has been selected as the main hardware manufacture for a custom design global kiosk project. Yeong Yang Technology full resource manufacture scope from metal die casting, to plastic injection will provide customer the benefit of cost saving in terms of mass production and tooling process.